The International Conference on Religions and the Sustainable Development Goals (SDGs), held in Vatican City in early March, was attended by 500 religious representatives and focused on how the world’s religions can help in implementing the SDGs. The 2030 Agenda for Sustainable Development, which included the SDGs, was adopted by the United Nations General Assembly in 2015. 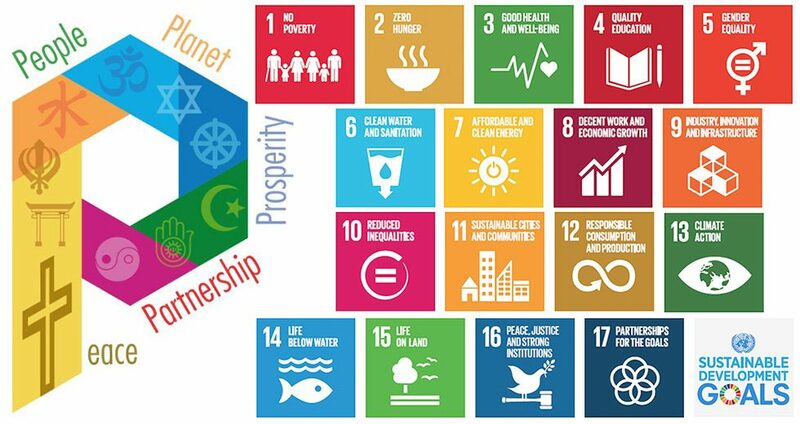 The 17 interlocking SDGs—which address global challenges including poverty, inequality, climate, environmental degradation, peace and justice—are intended to be a blueprint for sustainable development for all. The two-day conference, organized around the “five P’s” of people, prosperity, planet, peace and partnership, included an audience with Pope Francis, who described the aim of the conference as “listening to the cry of the earth and of the poor.” Addresses came from Cardinal Peter Turkson (prefect of the Dicastery for Promoting Integral Human Development), Martin Junge (general secretary, Lutheran World Federation) and Michael Møller (director general, United Nations Office in Geneva), among others. This was “a unique endeavor to call attention to the urgency needed to help the lives of thousands of millions of people living in a world confronted with the scandal of inequalities that increases and deepens poverty, as well as worsens the effects of climate change damaging our common house,” said Humberto Shikiya, who attended the conference on behalf of the World Communion of Reformed Churches, CREAS and Act Alliance. The conference highlighted the need for collaboration between faith communities in areas as diverse as climate change, health, education, inclusion, inequality and social changes, as well as the consequences of the 4th industrial revolution. Matthew Ross, a minister of the Church of Scotland, attended the conference in his capacity as World Council of Churches programme executive for Diakonia and Capacity Building. 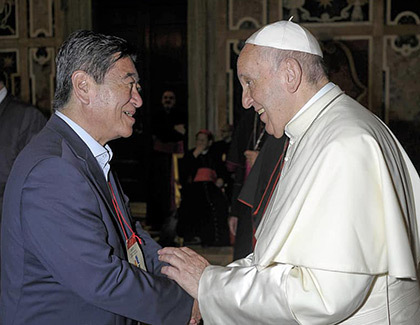 “The different religions and spiritualities have to unite for interreligious cooperation and action based on a dialogue that promotes a new narrative of hope, proclaiming that another world is possible,” Shikiya agreed. “I believe the WCRC can make a unique contribution based in the Accra Confession, particularly in relation to its understanding economic, social, climate and gender justice,” said Shikiya.